The University of South Australia is an innovative and globally-connected university, ranked in the top 10 universities in Australia^. Located in Adelaide, Australia’s education city, the University has nearly 32,000 students, including more than 5,500 international students. Focused on life beyond the classroom, the University offers an industry-informed curriculum and a practical approach to teaching and learning. The University produces graduates who are global citizens, ready to create and respond to change. The University supports a vibrant and adventurous research environment, where researchers work with partners from around the world to make a difference in areas as diverse as cancer treatments, renewable energy, cybersecurity and social innovation. The University of South Australia offers more than 200 degrees across four divisions. Degrees are designed with strong professional emphasis, ensuring students graduate career ready. Industry projects, study tours, internships, employment and careers expos, networking events, and mentoring schemes are just some of the opportunities available. The University’s strong commitment to cutting-edge research and engagement with industry has been well recognised, with 97 per cent of research rated at or above world-class standard (Excellence for Research in Australia 2015). The University of South Australia’s student support services are designed to help students succeed. Ranked number two in Australia for Student Services delivered through Campus Central in the 2017 International Student Barometer, the University provides students with the necessary support to excel in their studies and enjoy their university experience. A range of other services offered through our students’ association. The University has invested heavily in new buildings and facilities, totalling more than $400 million, to make sure students learn in an exciting, innovative environment. Students have access to state-of-the-art learning spaces and the latest technologies, along with enhanced facilities that connect students with researchers, industry and the community. The University of South Australia is located in Adelaide, the capital of the state of South Australia. 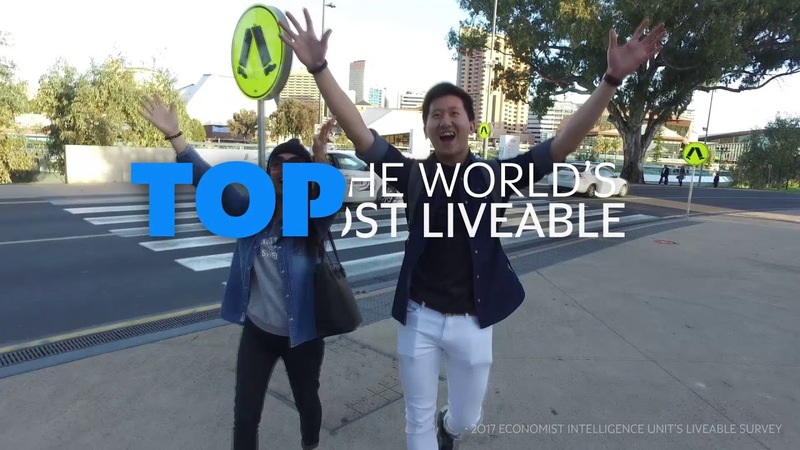 Ranked as the world’s fifth most liveable city in the 2017 Economist Intelligence Unit’s Liveability Index, Adelaide is a safe, affordable and globally-connected city, making it the perfect place to study.